How was your weekend? Did you stay in and relax or go out and do something fun? I got up early Saturday morning and headed to WBFF Fox 45 studios in Baltimore. 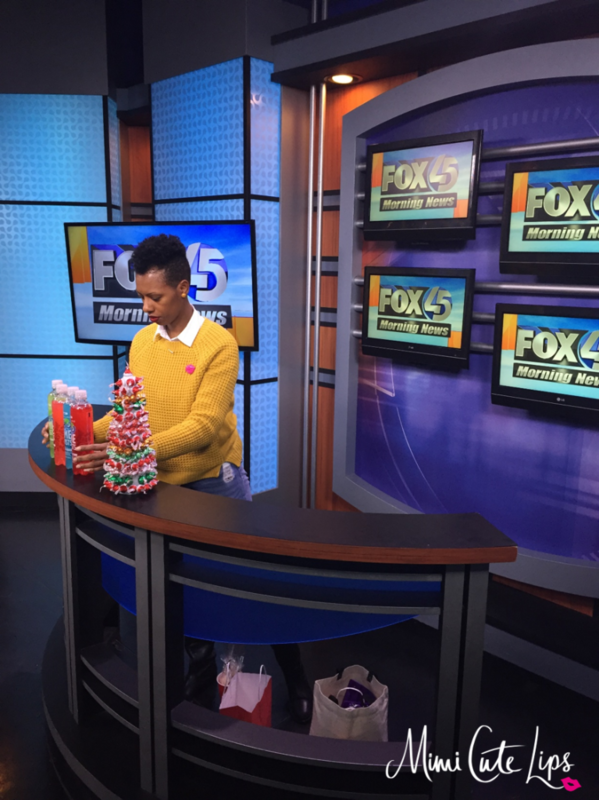 It was a lot of fun, I talked about easy DIY Treats for the holiday season. After that The Style Medic and I kept North and headed to New York; more on that later this week. 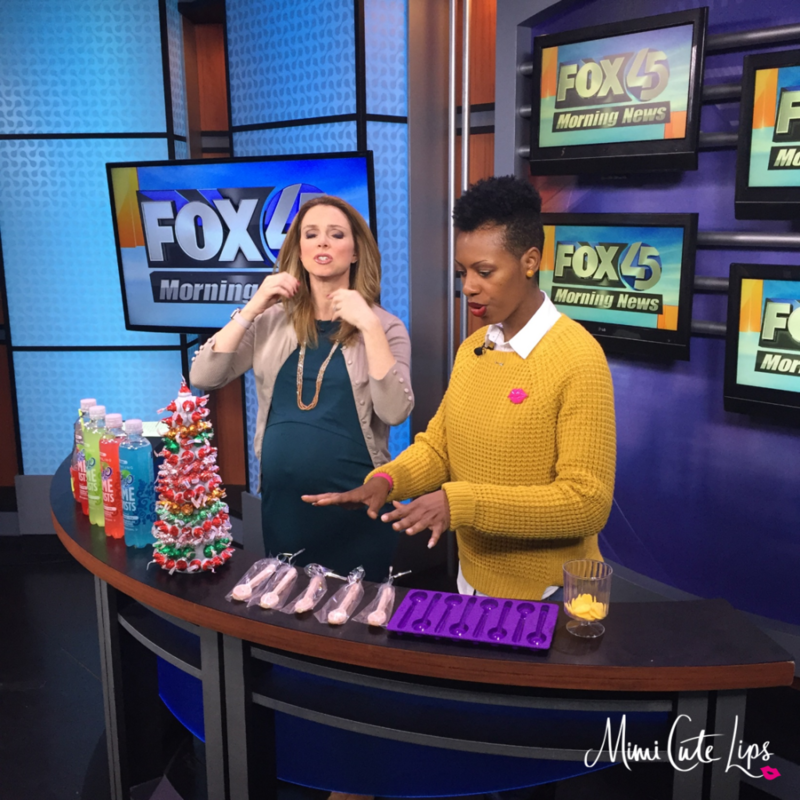 In the clip I share 3 easy DIY Crafts for the holiday. The chocolate spoons have become my absolute favorite. You can get chocolate in a variety of fun flavors. This spoon mold has become really hard to find. It is sold out online at JoAnn’s, and the Michael’s & JoAnn’s in my area as well. Oh and it’s on back order on the Wilton website and they are the dag on manufacturer. Step 2. Poor into a piping bag and clip the tip. Note: Using a piping bag controls the mess; if you don’t have one use a sandwich bag and just clip one of the corners. Step 4. Smooth the melted chocolate in each cavity so the spoons lay flat once firm. Step 4: Put in the fridge Note: It doesn’t take long at all. Once finished they should look something like this. Bagged and ready, to be more festive you can add holiday ribbon instead of using the twist tie. 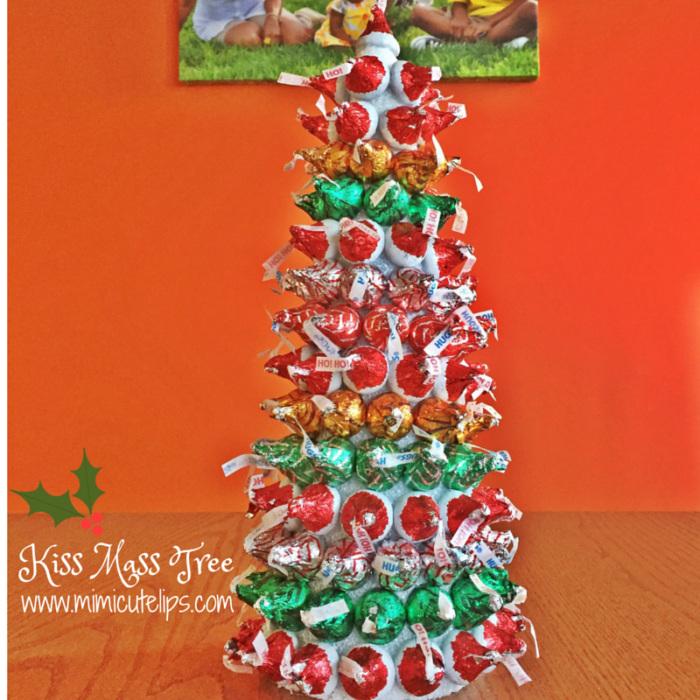 Click for the Kiss Mas Tree tutorial. What kind of crafts do you do during the holiday season? Chat with me in the comment section below or FB, IG or Twitter. Let me know how they turn out Kita. 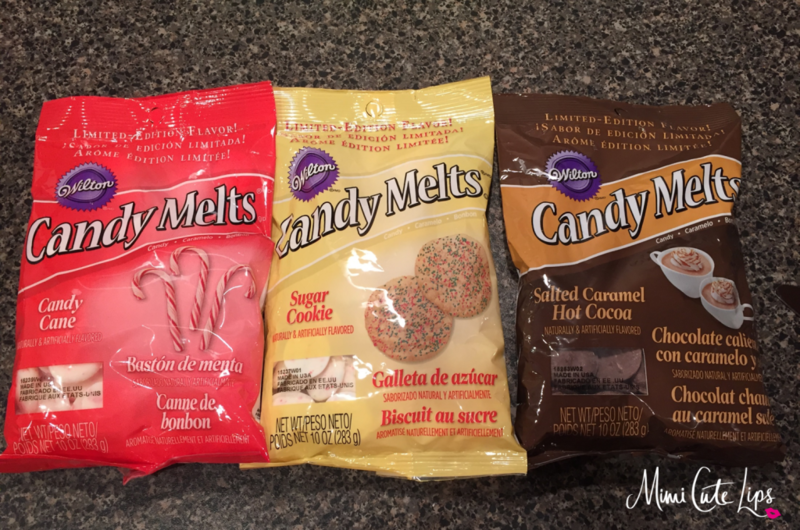 These are awesome treats your recipes seems doable have to try making the chocolate is my favorite. They are totally doable Patrice. I really like the idea of chocolate spoons! I know the kids in my class would go crazy over these chocolatey treats 😀 I am inspired now to look for different molds to create chocolates out of! You totally should Chanel, I love to make chocolate treats. We try different crafts each year this one looks pretty cool I might have to try this one for the night before christmas! Look at you doing your Martha Stewart thang! Love these idea sis! Love it! Looooovvveeeeee it! I should make up a bunch of these for Christmas presents this year. I’m thinking these spoons paired with some really high end coffee. Yes Stacie, that sounds yummy. So sweet! I love the kiss mas tree. What a way to sweetly decorate! After reading all these blogs, I think I can get my creative juices flowing. Lol that’s really cute for a festive party or kids gifts. You can totally get your creative juices going. I’m cheering you on. hahahahah they totally would Megan. Oh my gosh this is so cool. I’d love to make some chocolate ones with extra peppermint for some delicious hot cocoa. Liz that was my first thought hot cocoa. I love these so much! My sister in law always makes dipped plastic spoons (she dips them in chocolate), but I like your way much better. Oh wow Robin, that sounds cute. I love these…what a unique idea! How cool (and delicious) would it be to stir some warmed milk or holiday drink with these! Yes Lisa, make your holiday beverage a little sweeter. I saw your Facebook post on you being featured on the local news! 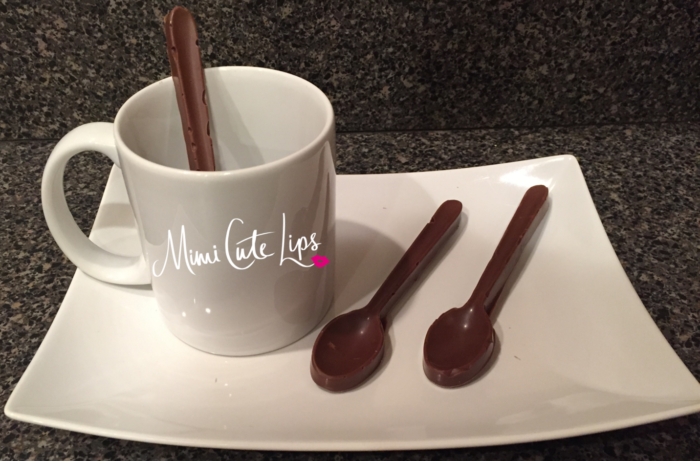 Congrats my darling and I love the idea of Choclate Spoons great for hot cocoa enhancement! Thanks Kiwi, I appreciate that. These sound like a fun project for my daughter and I to do on the weekend. She would love to make and eat these! Go for it Melissa, and tag me in the picture so I can see how they turned out. You had me at chocolate. Chocolate spoons, that is pretty cool. Stinks that the mold is sold out everywhere. Super popular. Wow! Imagine a spoon which you can eat? This is a great idea. I would really love to try this with the kids. Those are really delicious and sweet spoons. I would say the kids will love this project. Marurene, its fun to make them but even better to mix them in your hot chocolate. Wow!! These are really cute, I couldn’t eat it lol. It would be nice if I’m going to try it this coming Christmas Eve! I am sharing this post with my sister. She loves working with chocolate. I don’t have much success with it so I will let her make it for me. Those chocolate spoons are so unique. I hope we find the molds we need. I love chocolate spoons!! They make such fun gifts and party favors!! I’ve never seen chocolate spoons before, but that’s fun! I also love your idea for the kiss tree! The spoons are way too cool. It would be nice to serve hot chocolates to guests with a chocolate spoon. Thanks for sharing this. Give them a try and let me know how they turn out. 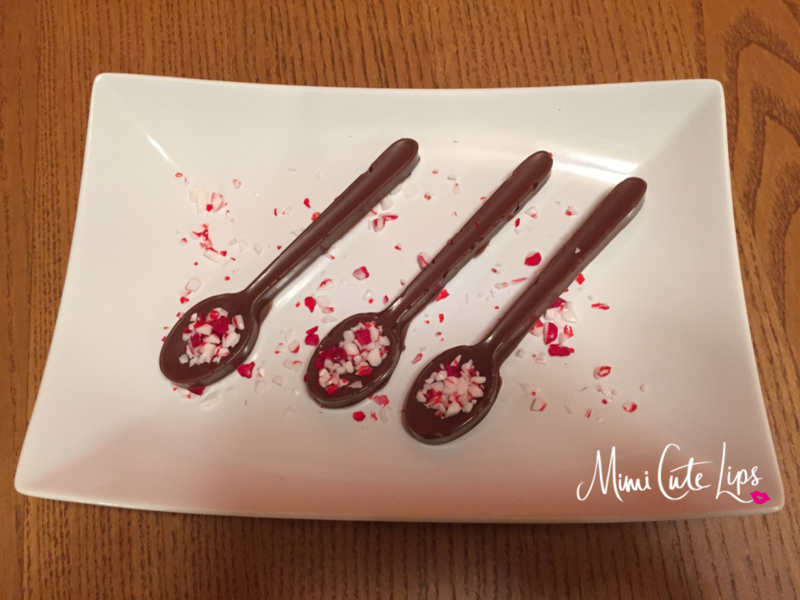 These chocolate spoons are perfect for the holiday season. Who wouldn’t love to get this for dipping in hot chocolate or coffee? Great idea! I hear them saying D-I-A-N-A! Fabulous ideas! I’m afraid that I would make a great big mess…I am now 0-8 with chocolate LOL! The spoons are perfect for birthday party favors! Valerie where are you going wrong? Let me help you out, making these should be fun. Oh Lynndee these crafts are perfect for you. It sounds like you had an interesting but fun weekend indeed at the studio. 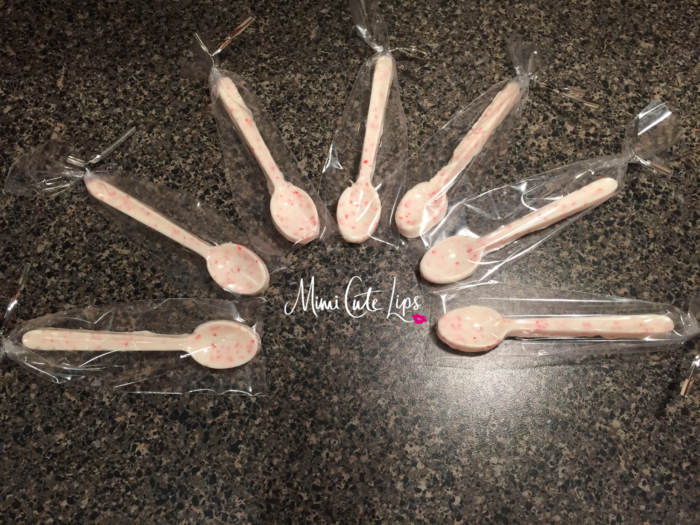 I have never heard of the chocolate spoons but I am very interested in making these and they would indeed make for a great gift idea as well as for any gathering. Thanks for sharing the awesome ideas. Thanks Rebecca they are easy and fun. 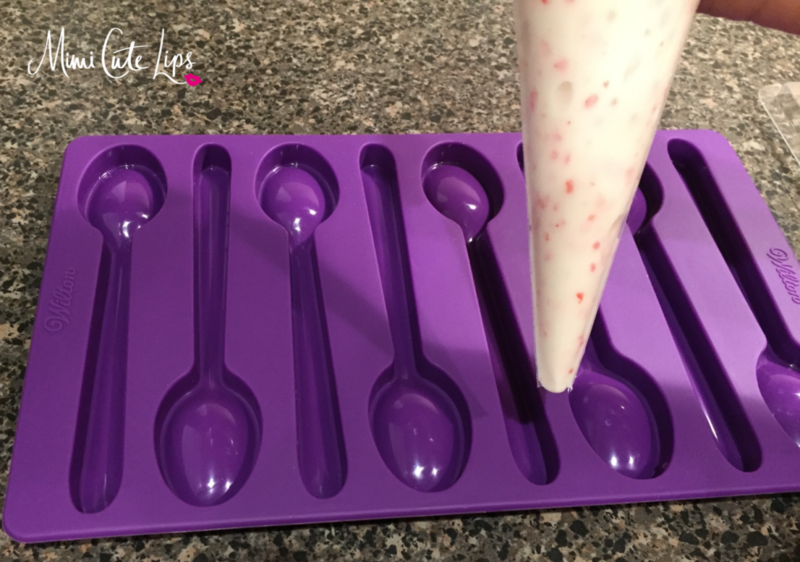 These spoons look so delicious and easy to make. I will have to get these molds so i can make my own. Let me know how it goes Ann. Congrats on the news feature, you’re really doing it! These crafts are super cute and delicious looking! I haven’t done too much DIY lately, but maybe I can get my fam to do something when they come into town for Christmas break. Thanks Kasi, doing crafts with the family is a lot of fun. Give it a try and let me know how it turns out. See I’m supposed to be eating right and this just made me want some serious chocolate! Great project and it looks yummy! Ha, thanks Boo. You totally can girl. These spoons are an awesome idea! In hot chocolate they’d make the flavor even more rich and delicious! What an awesome idea! I would love to make this soon. Thanks for sharing these. I totally should! I’m going to do it RIGHT NOW! Love your work! I would really like one of those chocolate spoon molds. Last year I started buying large dark chocolate bars and melting it down to make my own chocolates using small molds and different flavors, like peanut butter or raspberry. Oh Sicorra, that sounds really good. Congratulations on your apperance! What adorble Christmas treats those spoons are. Great idea. I love these chocolate spoons! They would really make great gifts that everyone would love. April, they always make for great gifts. I love how effortlessly easy these spoons are to make! I will have to try this sometime for sure. They are really easy to make which makes it so fun. How adorable are those! They would be a great addition to my dessert tables! Oh Tonya they totally would be. I love these…what a great idea! How cool would it be to stir some warm milk or holiday drink with these!Love it! Yes Claudia, that is the dream. Love love love this idea! It would make a wonderful gift. I am going to try my hand at it this weekend. Thank you for sharing. Thanks Alyssa, let me know how they turn out. 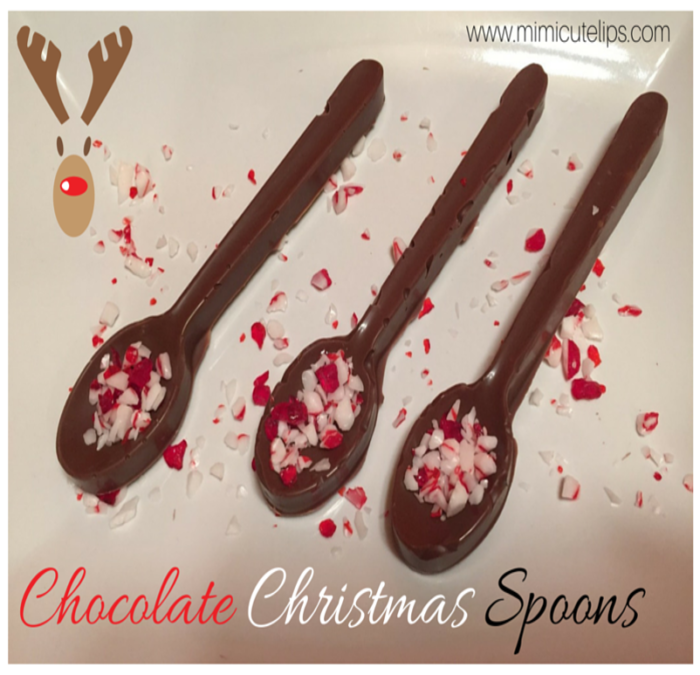 These chocolate spoons look great and are perfect for hot chocolate during christmas. Yes Peachy, they scream cuddle weather and comfort snacks.